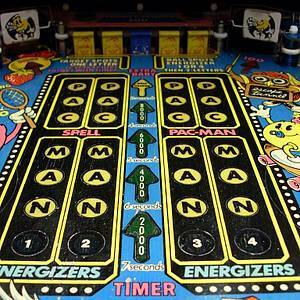 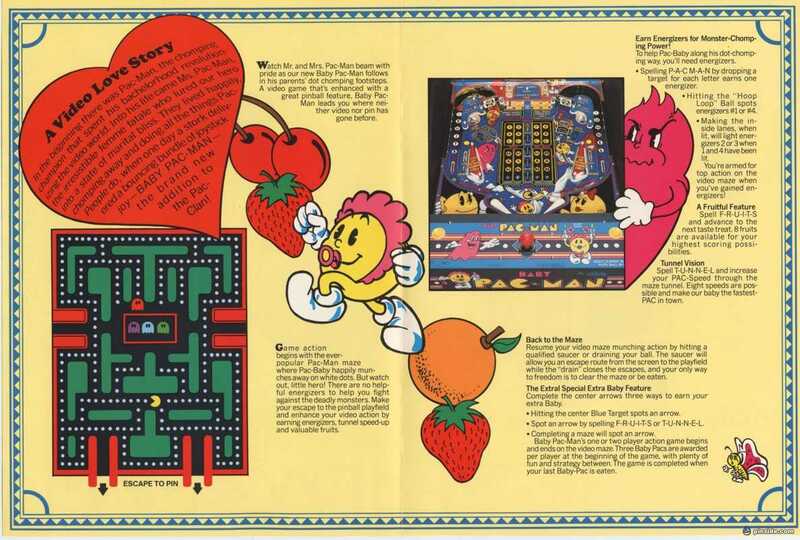 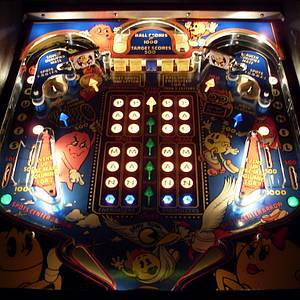 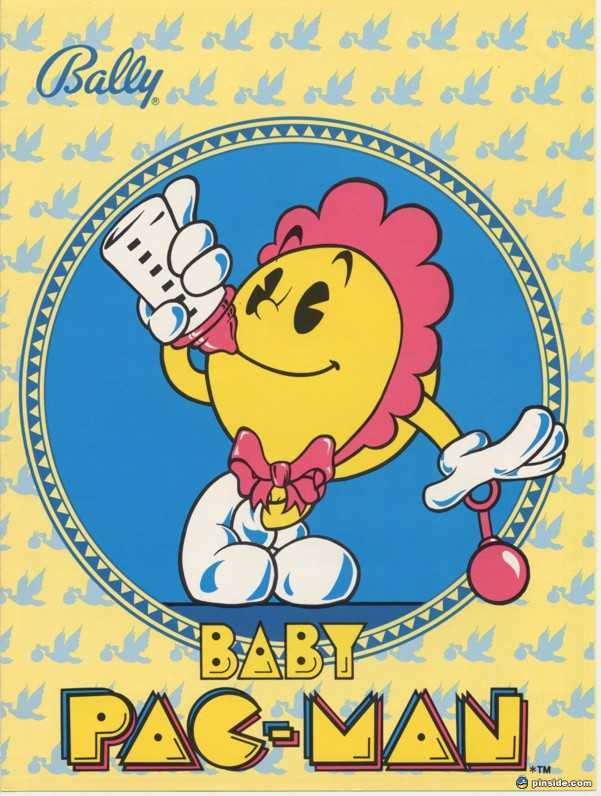 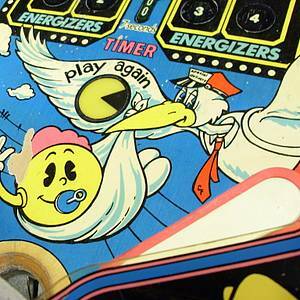 Baby Pac-Man is the first unique arcade/pinball machine hybrid, released in October of 1982, by Bally Midway. 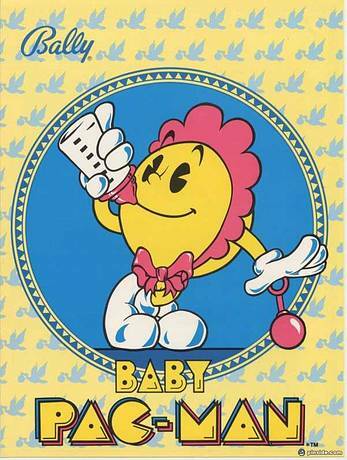 It was not well received due to it's extremely unreliable nature. 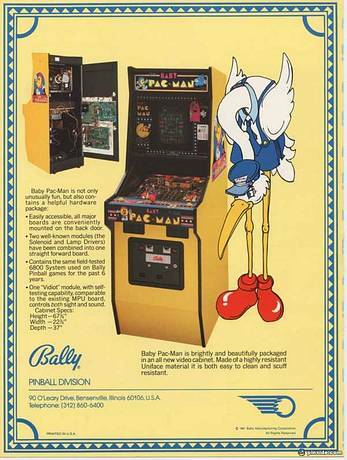 Bally tried the arcade/pinball hybrid design again with Granny and the Gators before giving up on it entirely. 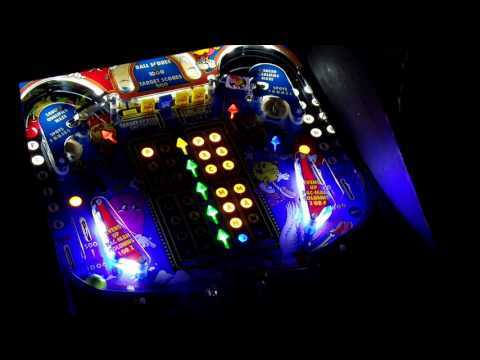 This game has received 46 approved Pinsider ratings and currently has a rating of 6.834 out of 10. 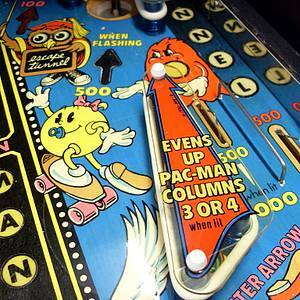 This game ranks #294 in the Pinside Pinball Top 100. 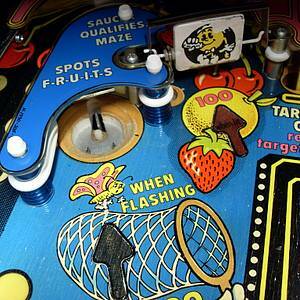 There are 36 rating comments for this game. 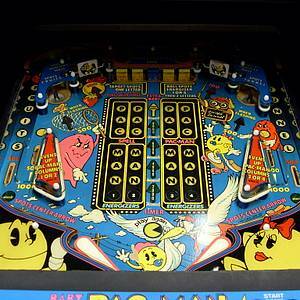 228 Pinsiders have this game in their collections. 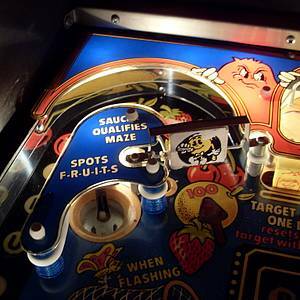 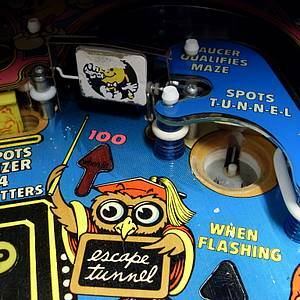 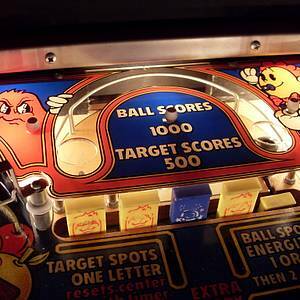 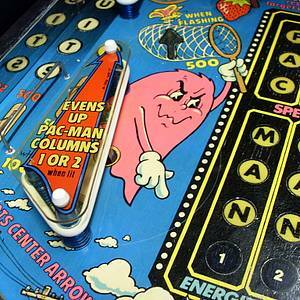 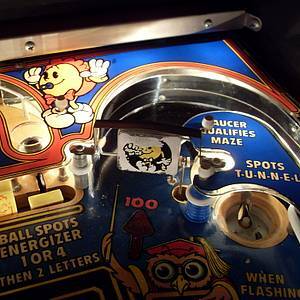 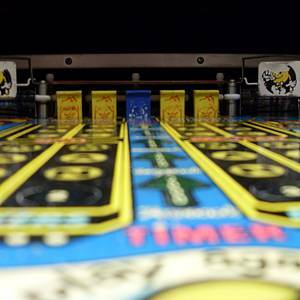 45 public locations known where you can play this machine.